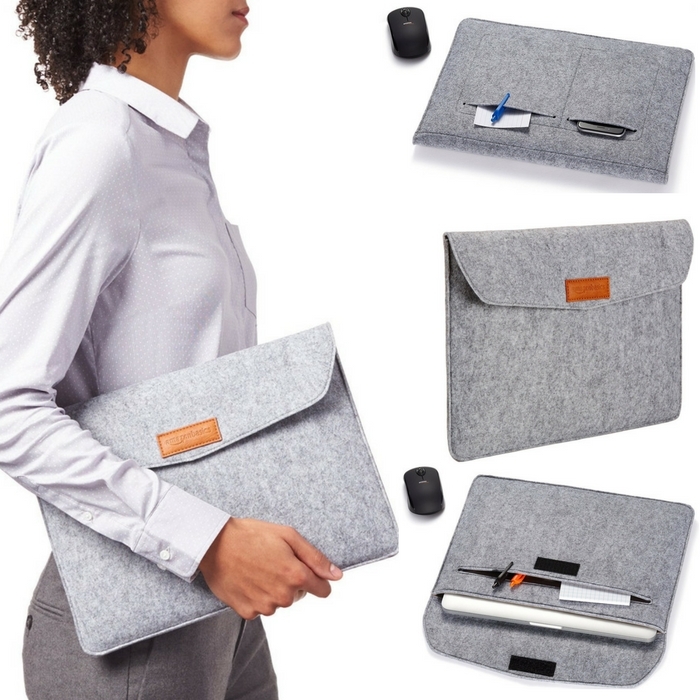 15.4-Inch Felt Laptop Sleeve Just $4.01! Down From $14! You are here: Home / Great Deals / Amazon Deals / 15.4-Inch Felt Laptop Sleeve Just $4.01! Down From $14! Your Mac or PC goes where you go. Now it can travel in sleek, protected style with this laptop sleeve! The sleeve’s high-quality felt exterior offers your device an important layer of protection. Its interior lining consists of a soft suede fabric that won’t scratch your computer for long-lasting performance. Hop over to Amazon where you can grab this 15.4-Inch Felt Laptop Sleeve for just $4.01 down from $13.99! It’s an add-on item so it will be shipped with qualifying orders over $25!